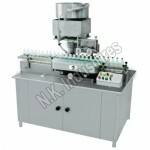 The leak test machine is used for checking of leakage and to be check of capacity of joint of filled IV fluid plastic bottles. 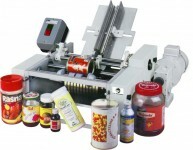 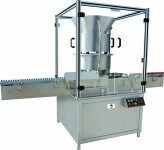 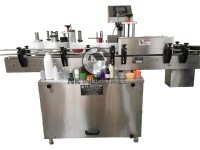 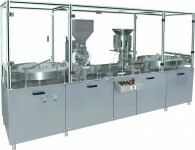 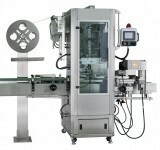 This is inline checking system with visual inspection and sticker labeling machine and packing conveyor belt. 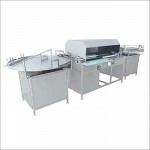 An IV Plastic bottle Leak Check machine is equipment consisting of special stainless steel conveyer belt with hook system, Rotary Bottle forwarding assembly, Hylum wheel with rubber belt and spring loaded pressure assembly and drive unit. 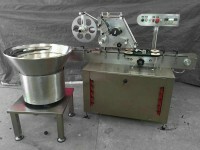 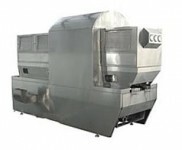 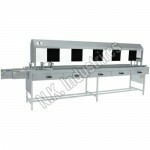 The Leak check machine has stainless steel structure with moving S.S. slat chain. 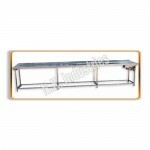 Structure made out of S. S. square pipe & supported on adjustable bolts. 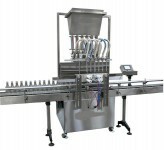 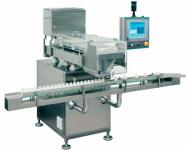 The central S.S. conveyor belt brings the filled IV fluid plastic bottle from manually loaded in hopper and further transfer by special conveyor belt one by one to rotary wheel. 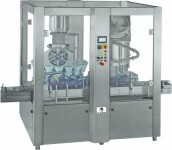 These bottles are automatically one by one transfer to rotary forwarding wheel & further on the Hylum wheel for pressurized checking. 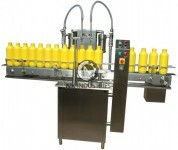 The pressure on the bottle is to be set as per requirement these system work on spring loaded. 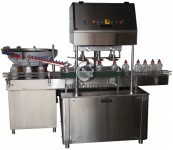 Due the pressure on the IV Plastic bottle the leak bottle will more leaked with pressurized flow of material so it is easily visualized inspect and it will be manually rejected and ok bottles are conveyor to further process for sticker labeling. 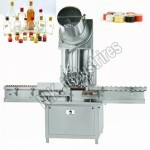 Also if any joint of plastic bottles are weak then it will be leak due to pressure and rejected. 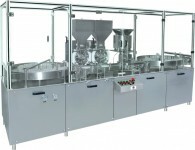 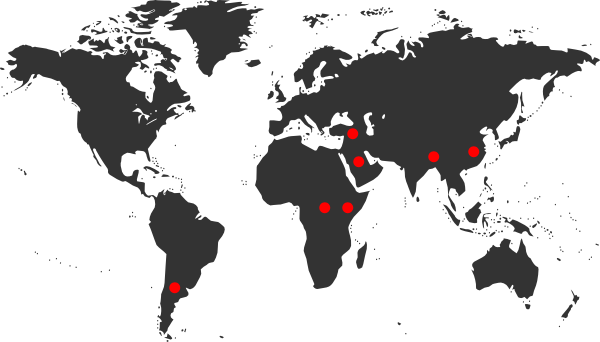 Design As Per Stringent CGMP Requirements. 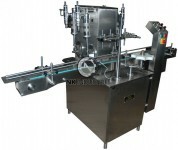 Machine Structure Is Made From AISI 304 Quality. 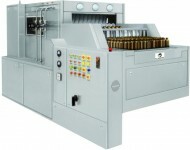 Special Slat Belt Having To Pick And Hold Only One Bottle. 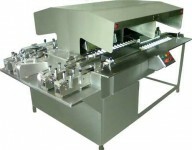 Conveyor Belt Is Having Variable Speed Drive. 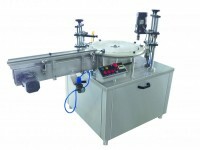 Rotary Hylum Wheel With Special Belt To Collect Bottle For Pressurized System. 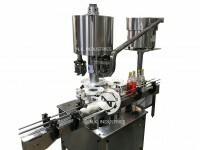 Pressure Rod Provided With Adjustable Spring Pressure On Bottle. 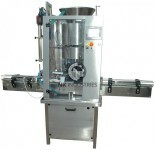 Due To Pressure Weak Joint Bottle And Leak Bottles Found Easily And Rejected Manually.